CLOSEOUTS. 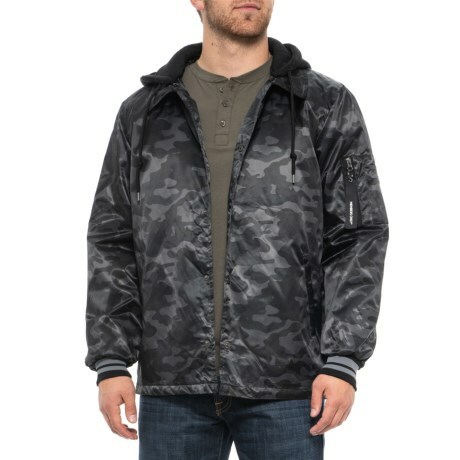 Stay warm and comfortable while looking stylish as can be with the Members Only Coach jacket, a lightweight layer with insulation, a smooth exterior and lining, and a button front closure. Available Colors: CAMOUFLAGE. Sizes: S, M, L, XL, 2XL.